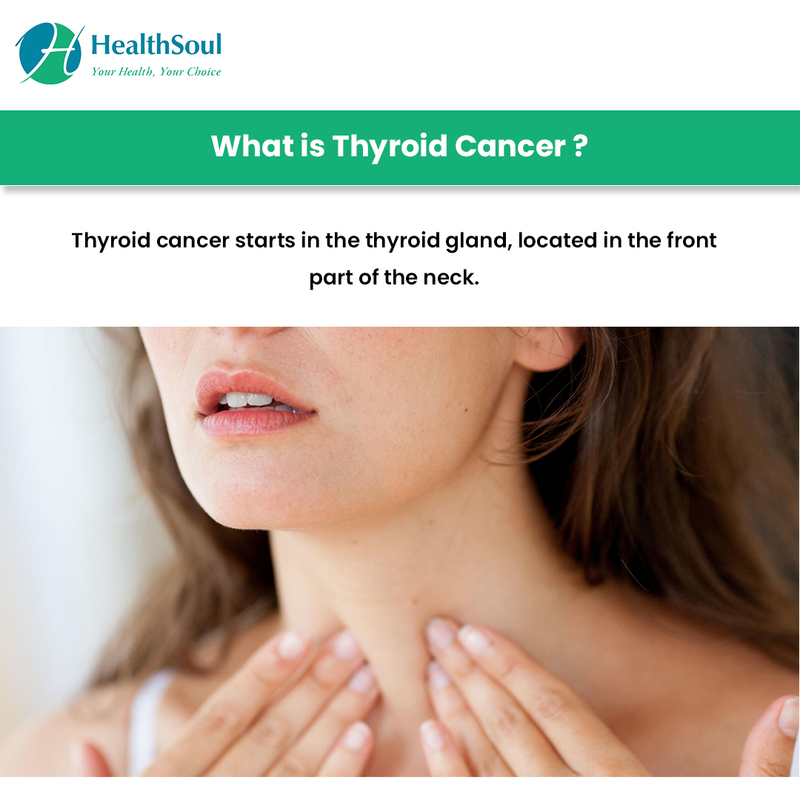 Thyroid cancer starts in the thyroid gland, located in the front part of the neck. According to the American Cancer Society’s estimated 2017 statistics, nearly 57,000 people will be diagnosed with thyroid cancer and nearly 75% of them will be women. 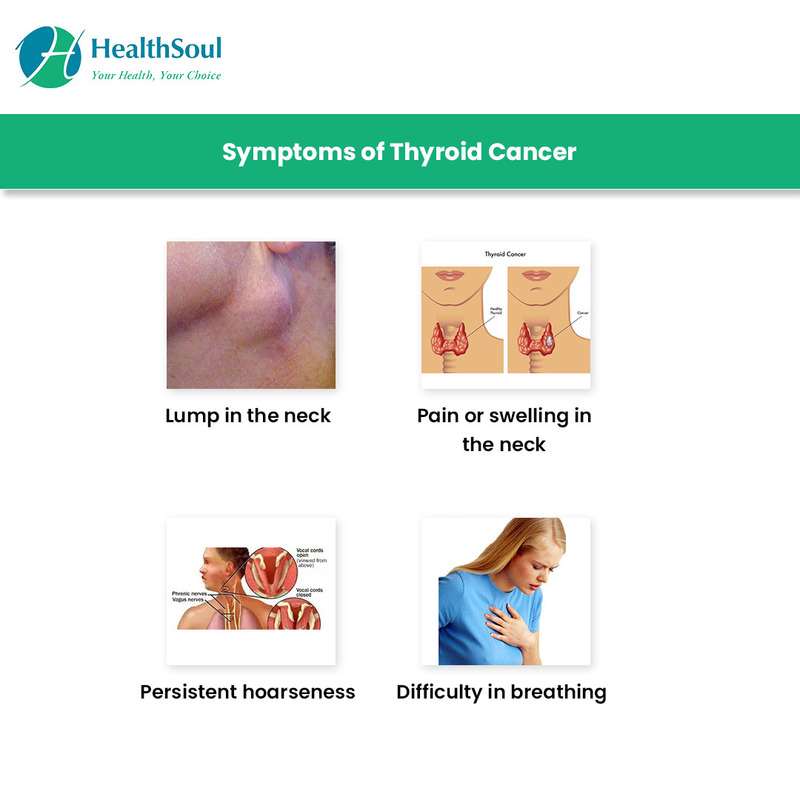 Thyroid cancer has a much lower death rate than most cancers (only about 2,000 of those 57,000 diagnosed) and is normally found at a much younger age than most adult cancers. The diagnosis of thyroid cancer has tripled in the past three decades, but the low death rate has remained steady, due to early detection procedures. All patients under age 55 have an excellent chance of survival with this type, so they are always Stage 1 (or 2 if the cancer has distant spread). Stage 1: The cancer is no larger than 4 cm and has not spread to nearby lymph nodes or distant sites. Stage 2: The cancer is up to 4 cm and has spread to nearby lymph nodes but not distant sites. OR The cancer is larger than 4 cm but confined to the thyroid or it has grown into the strap muscles around the thyroid. It may or may not have spread to nearby lymph nodes, but not to distant sites. Stage 3: The cancer is any size and has grown into nearby tissues of the neck (larynx, trachea, esophagus, or the nerve to the larynx). It may or may not be in nearby lymph nodes but has not spread to distant sites. Stage 4: The cancer is any size and has spread extensively beyond the thyroid (distant lymph nodes, organs, bones). Undifferentiated Thyroid Cancer is always considered Stage 4. Stage I: Cancer is 2 cm or smaller and has not spread beyond the thyroid. Cancer is bigger than 4 cm and confined to thyroid, or is any size and growing outside the thyroid but not involving nearby structures, nor has it spread to nearby lymph nodes or distant sites. Stage III: Cancer is any size and might be growing outside the thyroid but has not involved nearby structures. It has spread to lymph nodes in the neck but not to other lymph nodes or to distant sites. Stage IV: Cancer is any size and has spread into other tissues of the neck (larynx, trachea, esophagus, or nerve to larynx). It may or may not have spread to nearby lymph nodes or distant sites (liver, lungs, bone, or brain). 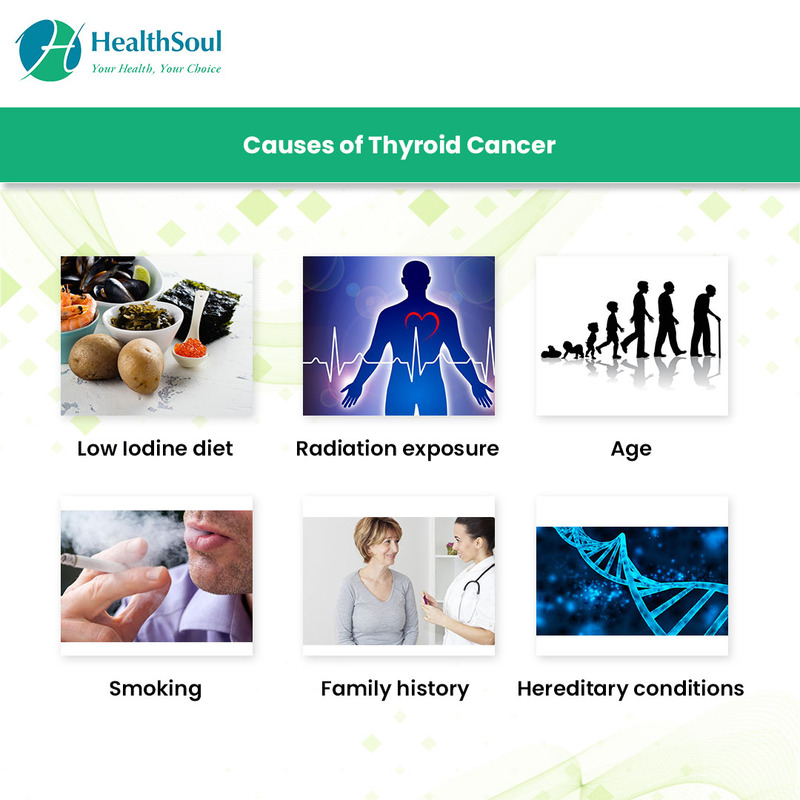 Most of time, thyroid cancer can be cured with one or more of the above treatments. There is no sure way to prevent thyroid cancer.